Male gaze is a term that is used when describing visuals such as film, movies, television etc. 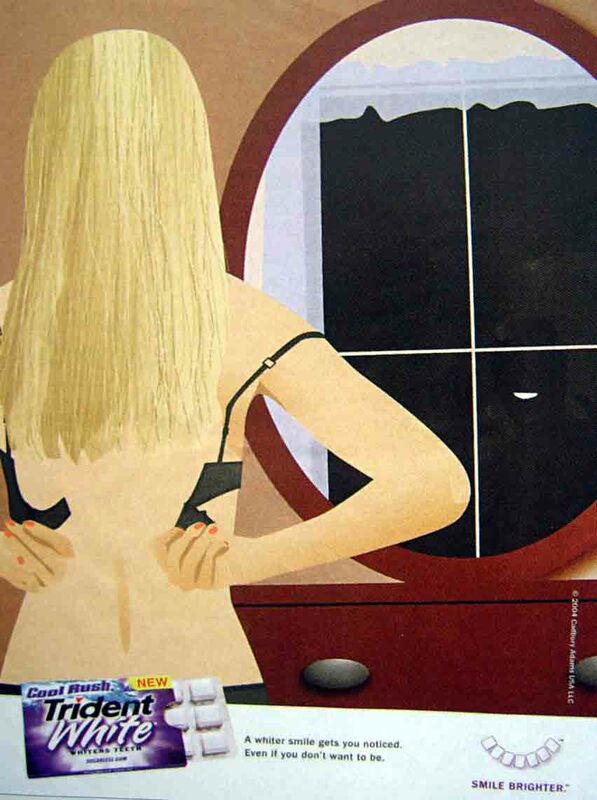 The perspective that these visuals are seen is in solely from a male’s point of view, and any woman displayed in the visuals are usually objectified. The male’s gaze in the visuals illustrates the fact that the men have strong feelings of entitlement and higher ranking than the woman. In “Ways of Seeing” John Berger states that “men act and women appear” (47). This illustrates the fact that women are not playing an important role in communication that takes place between a male and female, they are more so just existing as human beings while the male controls everything. Berger also states that women “have to survey everything she is and everything she does because how she appears to others, and ultimately how she appears to men, is of crucial importance for what is normally thought of as the success of her life” (Berger 46). This quote made me think of the many times growing up where I have witnessed older women tell their daughters to look a certain way and wear certain things in order to attract a man and to also make sure that she does it accurately enough in order for the man to consider marrying her. This illustrates that fact that people believe that a man proposing to a woman means that the woman has accomplished something in life, not due to the fact that the woman has accomplished something that is self reflective, but due to the fact that she has a man to showcase. The Oppositional Gaze is another structure in which Bell Hooks examines, which focuses on black representation in media and the way that black women are seen as powerless to society. For example, in many television shows and movies black women play the role of the submissive and less intelligent human being, while white women play the role of the strong and bossy leader. Hook states states that “even when representations of black women were present in film, our bodies and being were there to serve – to enhance and maintain white womanhood as object of the phallocentric gaze” (119). Black women were portrayed in films and television shows, but the way they were portrayed weren’t 100% accurate nor was it practical. I remember watching shows such as “Good Times,” and “Maude” and the white women in the show always had the upper hand and held the most power in their relationships with the black women. This made me reflect back to the times in high school when I was the only black girl amongst a group of white friends, none of them ever made me feel as if I was less than them and we all connected on many different levels. Although they never seemed to believe that they were in higher positions of power than me, they often told me stories about how their grandparents wouldn’t accept them having black friends due to the fact that they were raised during the time where segregation still existed. That goes to show you that times do change and as the world progresses, issue that were prevalent back in time, may not be prevalent during this day in age. Here’s an link to the famous speech “We should all be feminists,” by author Chimamanda Ngozi Adichie, which addresses several issues in society in regards to women.